Happening the first week of May every year, The Offshore Technology Conference (OTC) is where energy professionals meet to exchange ideas and opinions to advance scientific and technical knowledge for offshore resources. Leading the way in innovation, creative sustainability, and visionary leadership, this conference and exhibition profiles the most incredible advances of our time. Founded in 1969, OTC is held in the heart of Houston, Texas and ranks among the largest 200 trade show held annually in the United States and is among the 10 largest meetings in terms of attendance worldwide. It is the largest “offshore technology” oil and gas event in the world attracting approximately 70,000 professionals who are committed to advancing our energy future. OTC is sponsored by 13 industry organizations and societies, who work cooperatively to develop the program each year and the event offers participants the opportunity to expand, globalize, harness international trade opportunities, connect with international buyers, get up to speed on the latest innovations and technology, provide unprecedented networking opportunities and support the business development process overall. Unshaken by oil price and tough economic times this group of industry leaders has seen the ups and downs of oil price over the decades. Adversity is seen as an opportunity for resilience and innovation rather than hardship – and it works! Check out this Oil and Gas simulated “Oil Price” Roller Coaster to put it all in perspective! Transferring of technology, sharing information, educating and elevating the industry overall OTC becomes a place that expedited the global knowledge base and advances the industry forward with it’s attention to the intricate details of the many vertical sectors that make up the offshore industry around the globe. Much of what will be shared in this conference is supporting solutions that profile new innovation, cost reduction, operational adjustments, new standards of operations, and calibrating companies to a new digital era of communications that elevates operations in a way that is smart, safe and efficient. Canadians will play a significant role at OTC this year, profiling the major players, companies, projects, and future development of Atlantic Canada. 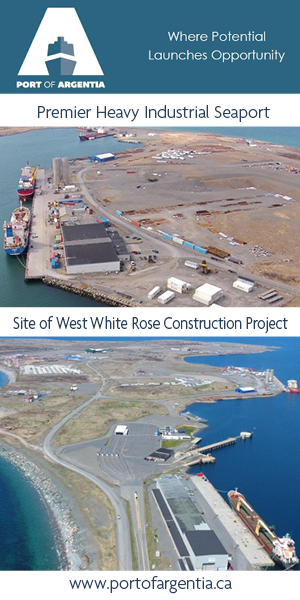 With the promise of new developments offshore Nova Scotia and Newfoundland the gains in the industry look promising. Specifically the Flemish Pass, Offshore Newfoundland is gaining significant interest as this basin as it seems to be the key to Newfoundland and Labrador’s next major play. With enthusiasm, Offshore Newfoundland has been touted as the next “North Sea”. Come and learn about the opportunities ahead. You may visit the Offshore Newfoundland delegation at OTC booth 1633. 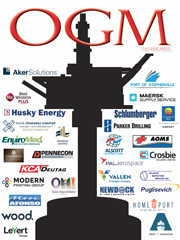 This year, The OGM celebrates 25 years covering the stories of the Offshore industry! Come say hello, pick up a copy of the latest edition of The OGM. You will find us at booth 1633. 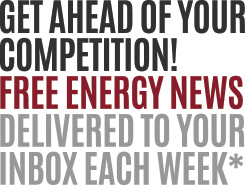 We’d like to know your story! Fill out this request and we will be in touch. We’ll have a very powerful conversation about new strategic marketing and how it serves your business development needs. After all, marketing is not marketing unless you sell something!